September is casting its slant light, some days are still bright and some are wet and steely gray; but before autumn blankets the ground with leaves, try not to miss the fields of sturdy and magnificent color at the Swan Island Dahlia farm in Canby, Oregon. It’s a great tonic for the fall and winter ahead. I went to the Annual Dahlia Festival on its last day, September 6th. It was a brilliant day and the fields were filled with people strolling, laughing at dahlia names (Hissy Fitz, Rock Star, Mango Madness…) and admiring the immense variety. Families brought picnic lunches and sat alongside the fields, and the staff was busy taking orders for shipment in the spring. Although the festival is over, you can still visit the fields through September: seven days a week from 8 am to 6 pm. Fresh-cut flowers are always available, so you can take huge bouquets to fill your home and give away to friends. Swan Island currently has 40 acres in cultivation with more than 350 varieties of dahlias. 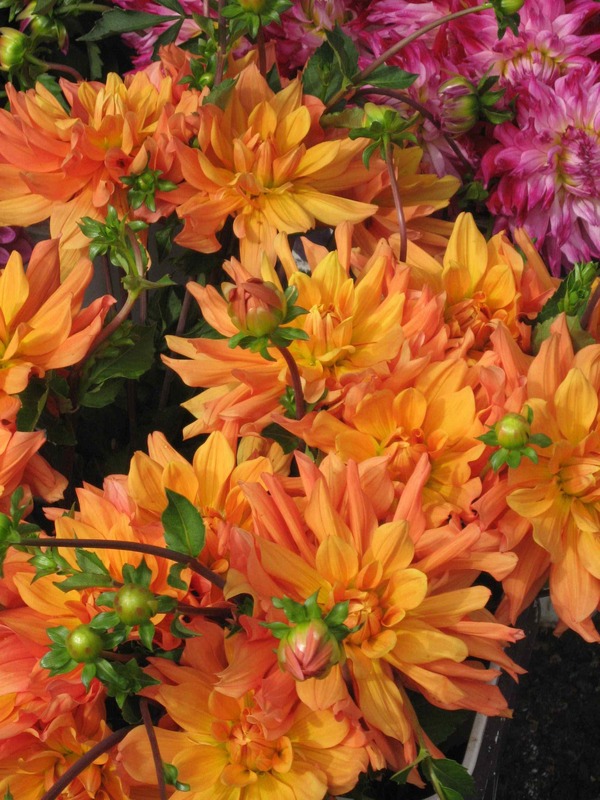 This family-owned and operated business is now the country’s largest dahlia grower. I came late to dahlias. Maybe it was the prim little Pom Pon varieties in pastel colors that fooled me, but that was before I understood Pacific Northwest gardening. I was slow to understand what it would mean in late October or even November, to have a big, assertive, and showy flower willing to bloom boldly in the fading light. When the chickadees were pecking out the last of the seeds of the drooping sunflowers, when all the color was draining meekly out of my perennial beds, the dahlias–tropical in origin and sassy in spirit–would stand against the gray and bloom big until one freezing day, when they would suddenly turn to black, messy rags and be gone. But until that one day in late autumn, a dahlia will give you its all. And that is something. Here is a late summer pop quiz for you: how do you tell the difference between a tomato that has been shipped to market in a refrigerated truck from a tomato vine-ripened in the hot summer sun? A clue: would you know the difference between a painting of Venus done by one of those Flemish or Dutch painters and one done by an Italian painter? Sure you would. In the northern version, Venus is skinny and pale, her blond, stringy hair hangs over pinched little breasts and she delicately covers her private parts with long arched fingers. Quick! Somebody get that girl a blanket! It just doesn’t work. By contrast, Italian Venus–a force of nature in the sun–is just right as she is. 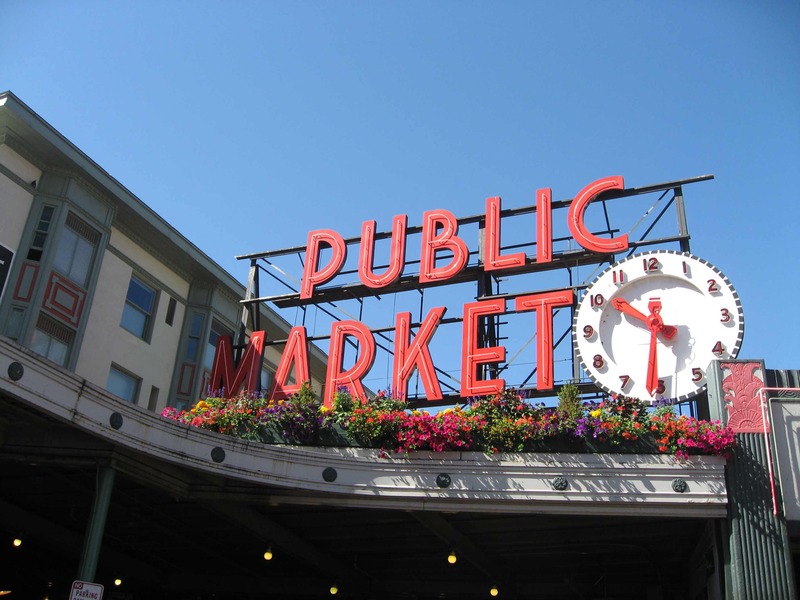 As you tour different Farmers’ Markets around the Pacific Northwest, checking out the best tomatoes, don’t miss the granddaddy of them all: Pike Place Market in Seattle. Pike Place Market is open seven days a week and is home to more than 200 year-round small businesses, craftspeople and farmers, street performers and musicians, all making their home on the cobblestoned street that runs north and south through the market at First Avenue and Pike Street. 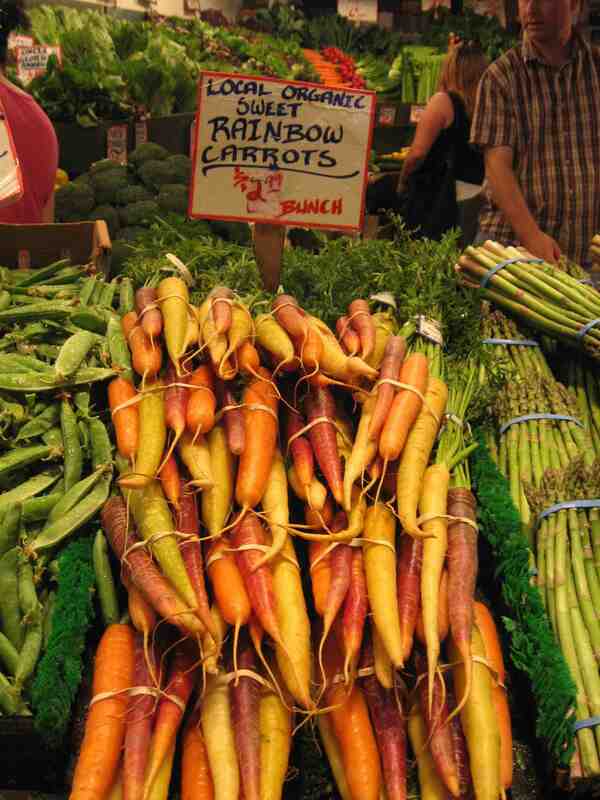 Market hours are Monday through Saturday, 10 a.m. to 6 p.m. and Sunday, 11 a.m. to 5 p.m.
As the oldest continuously operating Farmer’s Market in the U.S., you can find everything from the year’s late summer harvest. 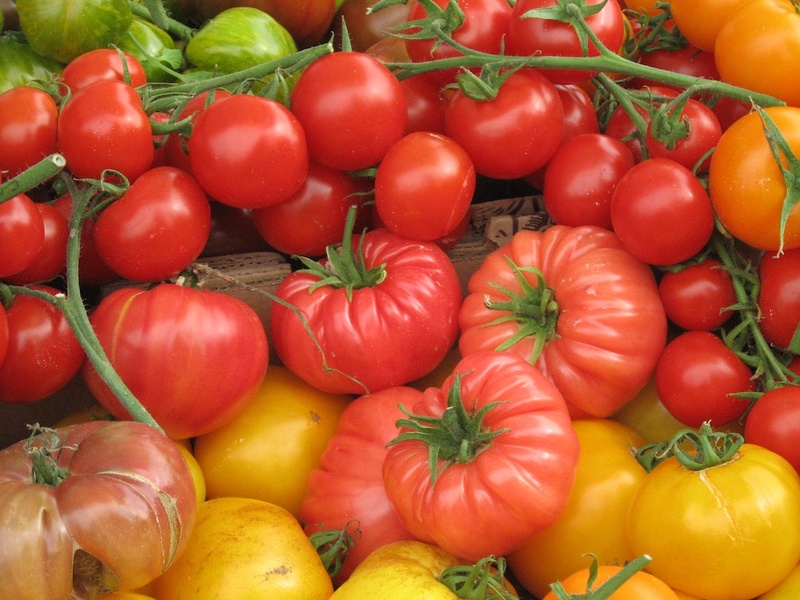 Including, of course, all those wonderful organic heirloom tomatoes….warm and right from the garden. Forces of nature all by themselves. A few blocks west of busy Highway 101, at the north end of Lincoln City on the Oregon coast, I step from the car and suddenly I’m in an oasis of calm. It’s the Connie Hansen Garden, a lush hideaway I go to when I want a quiet moment, or to check again which plants grow happily near the ocean, where the climate is cool (usually) and the air salty and damp. The 1-1/3 acre garden isn’t exactly a secret, but you have to watch for it, tucked into a residential neighborhood behind shrubs and trees. To get there, I turn west from Highway 101 on NW 33rd and find the entrance gate half a block down the road. There’s a donation box, a stack of brochures, and a table with a few plants for sale, and then paths winding through grassy gardens with more than 300 rhododendrons and azaleas. In spring, it’s an overflowing bouquet of red, pink and purple. 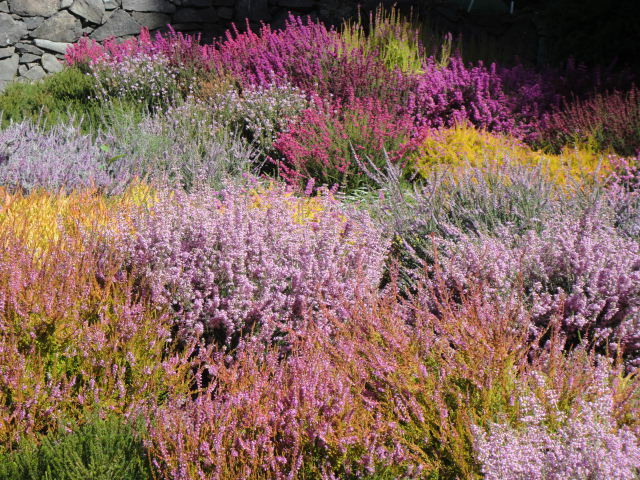 Every season has its blooms, from splashes of primrose and purple iris to pink cyclamen, sweet-scented lilies, and a patch of multi-colored heather. Magnolias and maples arch above them. Wooden bridges cross a stream, and benches are strategically located for stopping to admire the scene. 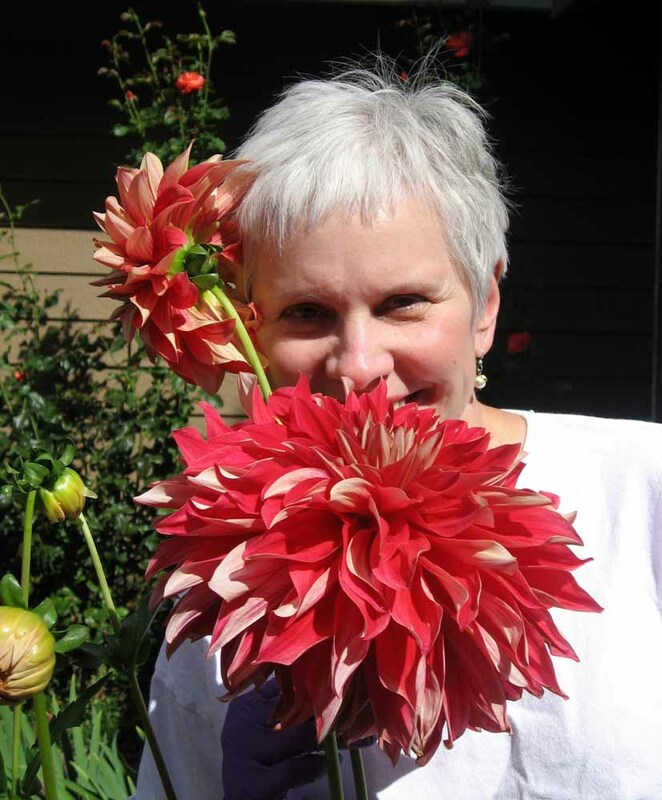 Connie Hansen moved to the coast and started gardening here in the early 1970s. 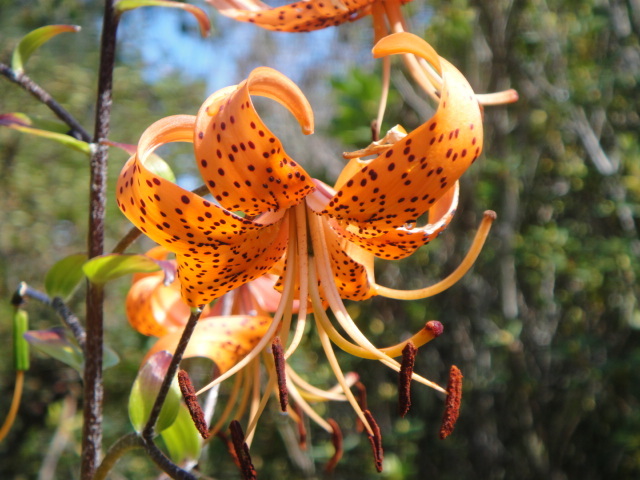 She was a botanist and expert gardener, interested in rare plants, who dedicated herself to creating a place of beauty. After her death in 1993, a conservancy took over to keep the place vibrant, and now a host of gardeners continues Connie’s legacy. They operate a shop where you can buy seeds, plants, t-shirts, notecards, even hand creams, and every June they host a festival that draws garden-lovers from near and far. I’ll be back to admire the rhodies next spring and maybe purchase an exotic plant or two.